Marvel Machine Returns! 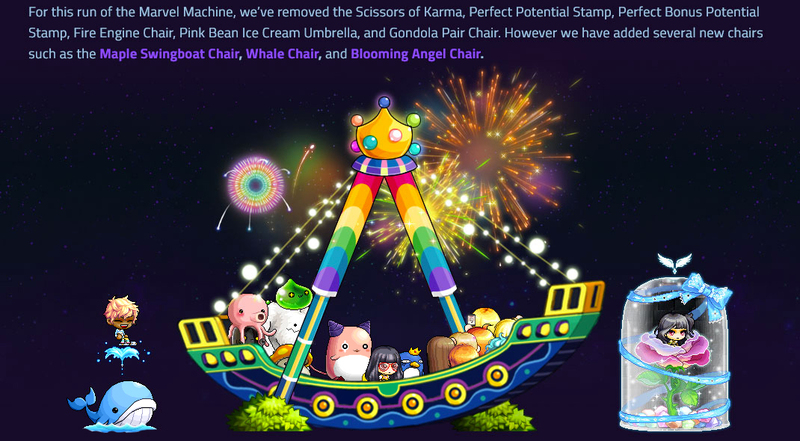 January 19 – 28 | Dexless, Maplestory Guides and More! The Marvel Machine is back for a limited time! In case you have never played before, this is a game which allows you to play for in-game equipment and Cash Shop items from the MapleStory website. Simply purchase spins with NX Prepaid and you will receive three random prizes for each and every spin! 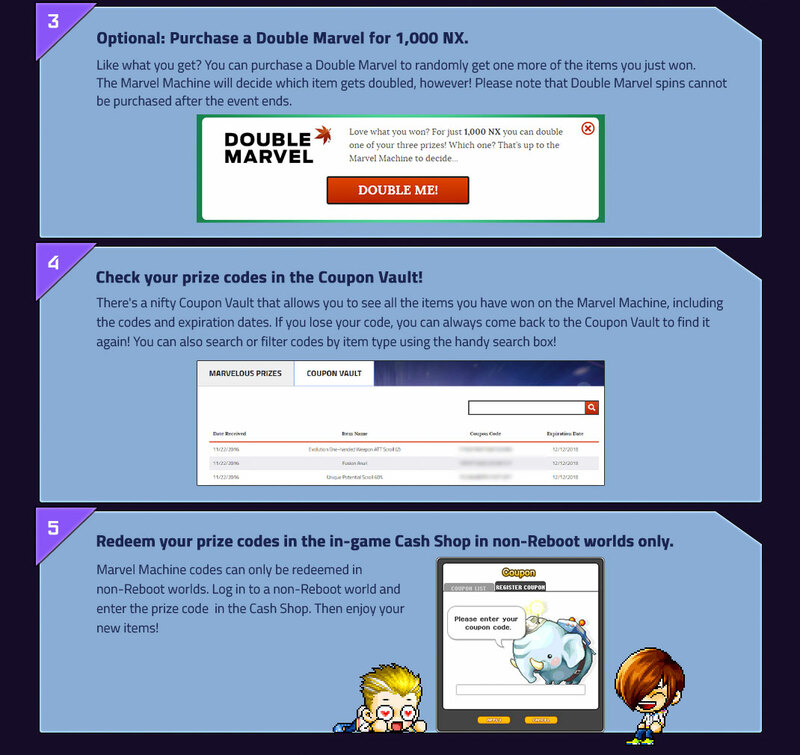 You never know, you might win one of the exclusive items only available from Marvel Machine! • You must have a MapleStory character to play. Or else who would we give the prizes to? 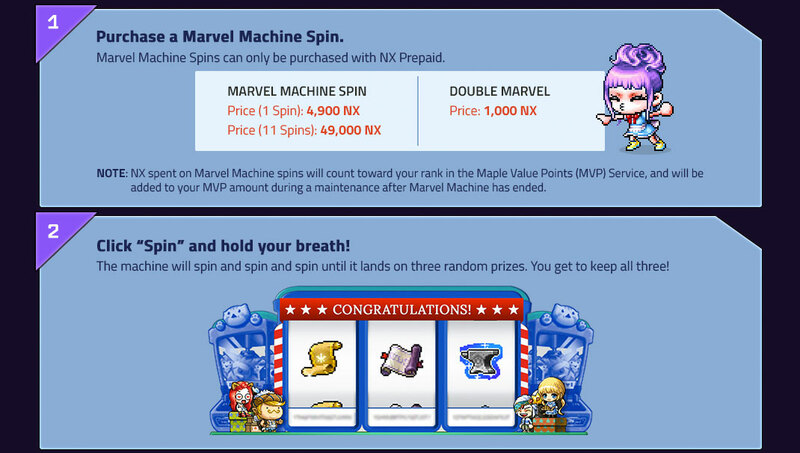 • You can only purchase Spins or Double Marvel with NX Prepaid. • Prize codes can be redeemed in non-Reboot worlds only. • Prize codes expire after 2 years and can only be redeemed once. So take your time, but not TOO long, eh? 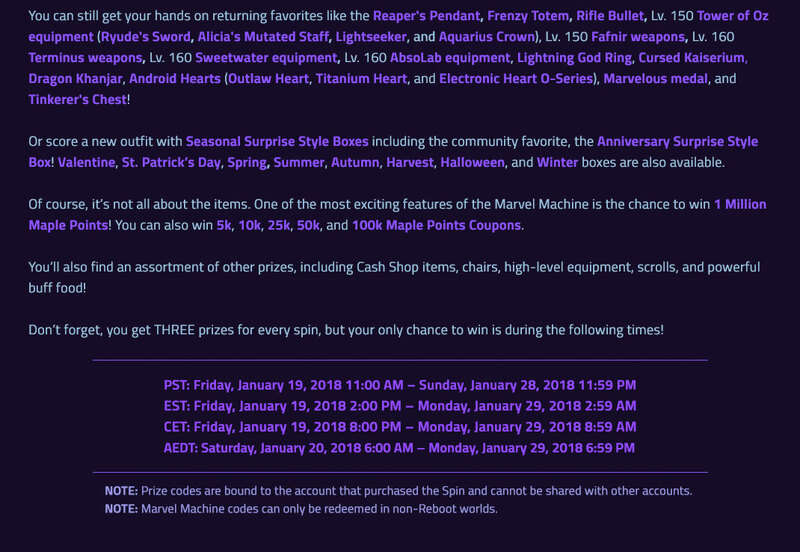 • Prize codes are bound to the account that purchased the Spin and cannot be shared with other accounts. • Cash Shop item prizes can't be traded. 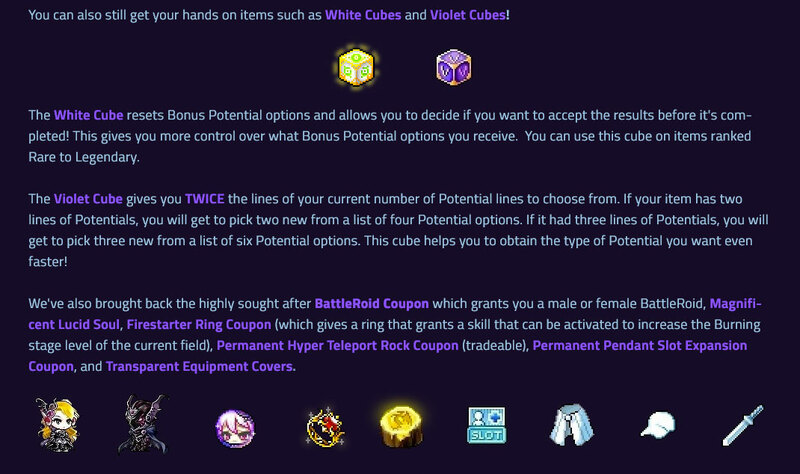 Non-Cash item prizes may or may not be tradable, depending on the item itself - check the item's description in-game to see! • The expiration timer of non-permanent Cash items begin the moment the code is redeemed in the Cash Shop.